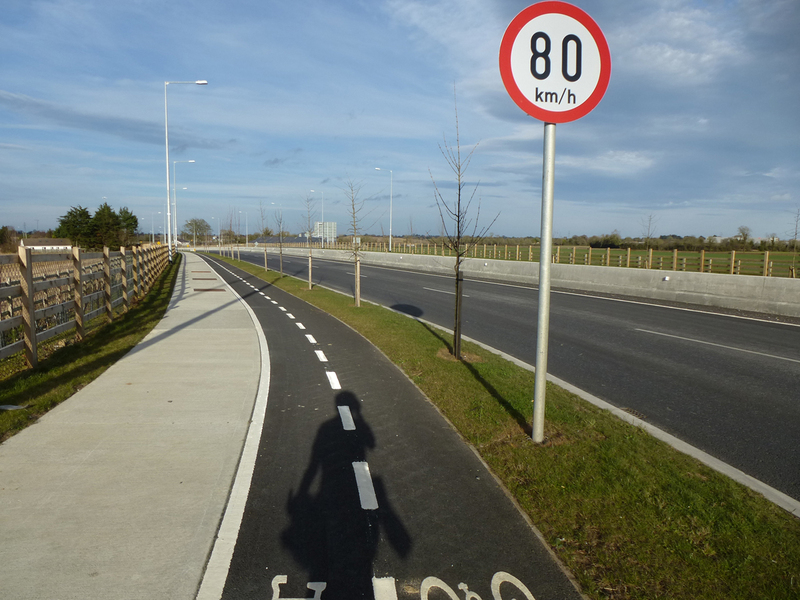 Most of the route is alone open fields yet to be developed, but here’s one of the few crossing of any regular practical use for the moment: From the residential area in Tyrrelstown to the Carlton Hotel Blanchardstown. Thankfully pedestrians and cyclists will be expected to walk or cycle even further at other points along the route — making sure they get even more fresh air and burn even more calories . “This road is more than just a link between two motorways and an alternative route to and from the airport. It’s about providing vital infrastructure to encourage businesses to settle in the area, and take traffic and heavy vehicles away from other roads. 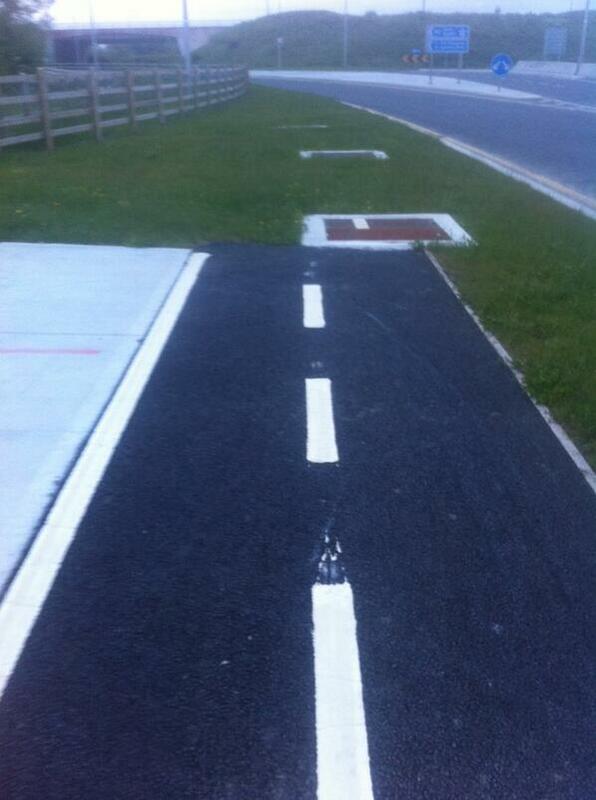 The project also includes off-road bike lanes to encourage more people to cycle. Elsewhere, the route cleverly attracts cyclists from the roadway with a better-than-normal on-ramp onto the off-road cycle route. 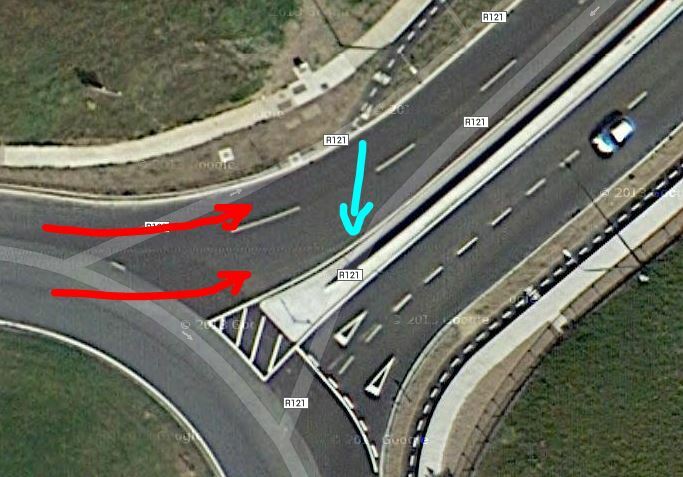 This kind of treatment is missing from exits off the route, and once you join the below pictured cycle path…. Shocking to say the least…where to even begin. 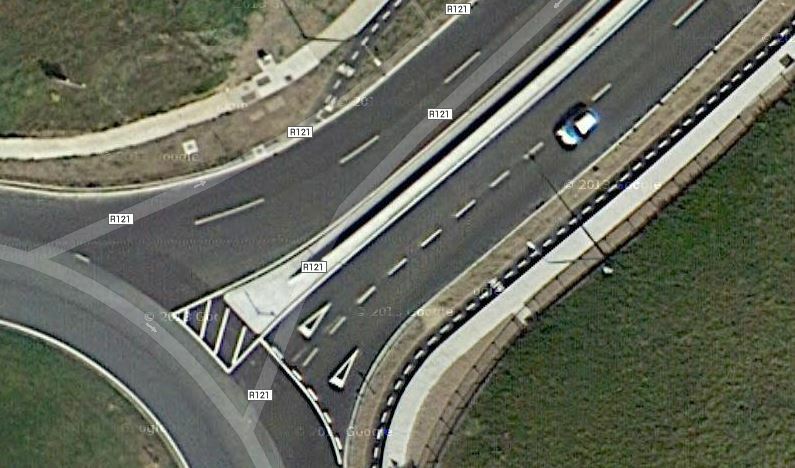 All in all a classic case of what happens when you design and build the a road in complete isolation. Watch this space..I suspect you will see €€€€€ spent on retrospective works over the next decade. Oh dear! Not good. Thanks for the report! 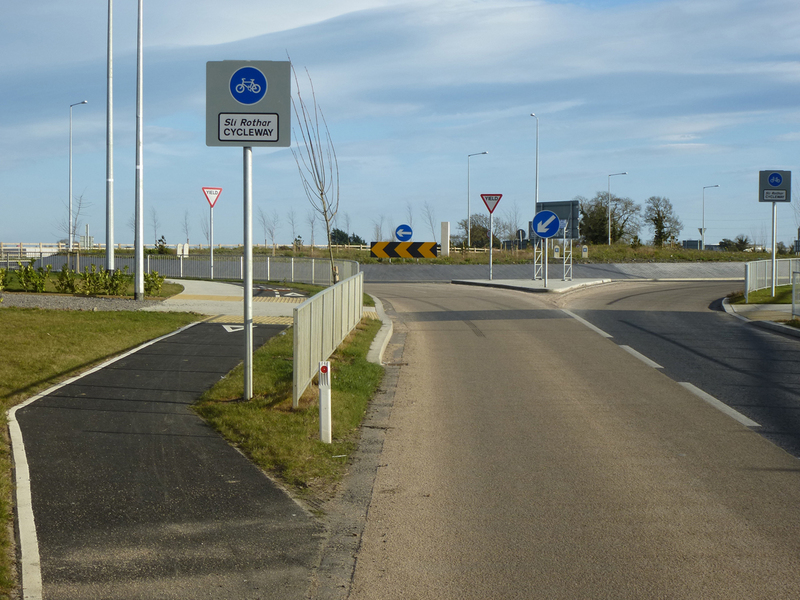 Came down this way, heading to Blanch from Ratoath, saw the tempting lure of a well finished brand new cycle path with a brand new on-ramp, “Could this be an excellent new route into Dublin?” I wondered until I realised I was corralled off the road when I got to the roundabout. Another example of cycling infrastructure primarily designed to keep cyclists out of the way of busy traffic engineers as they drive to work.